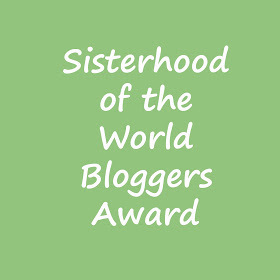 So I was just scrolling through my Twitter notifications, when I saw that the lovely Nia from Nia Elinor Mair nominated me for the Sisterhood of the World Bloggers Award. I am really really grateful and am really happy to know that people are enjoying my blog. 2. Lipstick or lipgloss? Lipstick by far, I hate how sticky lipgloss is! 1. Do you have any tattoos? 2. UV Gel nail varnish or acrylics? 3. What is your favourite TV programme at the moment? 4. Which three people (dead or alive) would you invite to a dinner party? 6. Which celebrity are you currently lusting after? 7. Do you prefer boy bands or girlbands? 8. Describe yourself in three words? 9. Your worst bad habit? 10. One beauty product you couldn't live without? I love the support the blogging community gives! It's so nice to see everyone being so lovely :) Nice post!